Diogo is a global leader, having lived in 9 different countries around the world. He studied between Portugal, United Kingdom, France and Hong Kong and then started his career as an International Strategy Consultant for Telecom, Media and Internet in Africa. He co-founded the first online printing platform in Iberia and acted as one of the youngest Managing Directors ever for a start-up incubated by Rocket Internet in Asia, the fastest and largest online venture builder in the world. Then, he was Managing Director for the largest daily deals website of Caribbean and Director for a VC funded mobile app in Berlin. Currently he is a Senior Investment Consultant for Portugal Ventures, the largest VC in the country with 450 million under asset management and offices in Lisbon, Berlin, San Francisco and Boston. 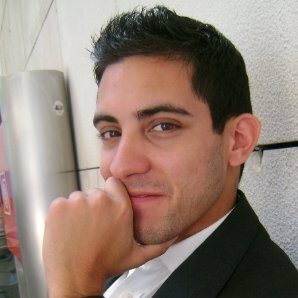 Diogo is also advisor to Startup Stock Exchange USA and mentor for top worldwide startup accelerators like Startup Bootcamp. He is also the Director of International Affairs of the German Federal Association of Sustainability. After work he is an avid movie enthusiast, basketball player, drummer and improvisation theater performer!